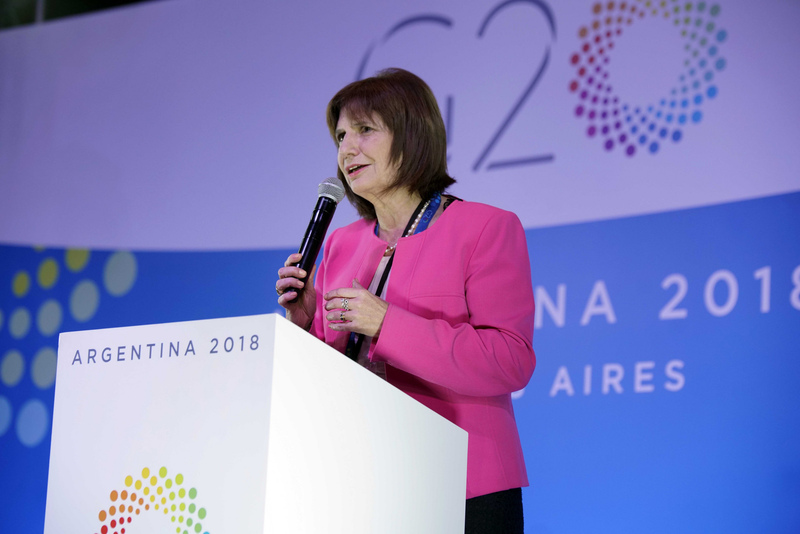 Argentine Minister of Security Patricia Bullrich at a press conference during the G20 Summit on November 28, 2019 in Buenos Aires, Argentina. 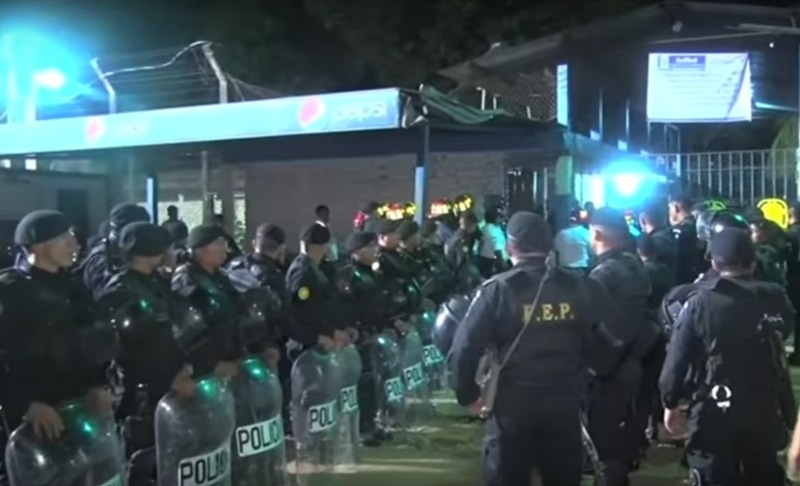 ARGENTINA: A new presidential decree granted police in Argentina more freedom to use their guns against assailants, including the authorization to shoot without warning. The decree was issued as police officer Luis Chocobar faces trial for fatally shooting man who robbed a U.S. tourist in 2017. The robber was 18-year-old Pablo Kukoc, who was shot in the back by the officer. Chocobar was off duty at the time and was charged with murder in February. UNITED STATES: During the third week of the federal trial of Mexican drug lord Joaquín “El Chapo” Guzmán, former Colombian kingpin Juan Carlos Ramírez Abadía testified yesterday that operating for the cartel he gave many orders to kill, including in the New York City Area. 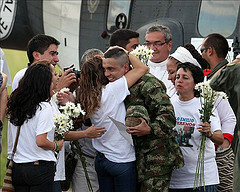 Ramírez, who altered his appearance through plastic surgery in a failed attempt to avoid detection by law enforcement, gave minute details of Guzmán’s drug operation and told jurors he was Guzmán’s primary supplier of cocaine. MEXICO: Victor Lichtinger, Mexico’s former secretary of the environment and the first director of the North American Commission for Environmental Development, wrote an op-ed for the Washington Post yesterday, asserting that President López Obrador’s planned “Mayan Train” would “wreck Mexico.” Lichtinger specifically cites the cost (estimated at $6 to $8 billion US), the lack of public information and the possible impact on Mexico’s biodiversity. MEXICO: Just days after leaving office, former President Enrique Peña Nieto defended his strategy against organized crime yesterday, saying that his decision to transfer public security duties to the Secretariat of the Interior – which houses the president’s legal cabinet – allowed for permanent dialogue between different stakeholders. 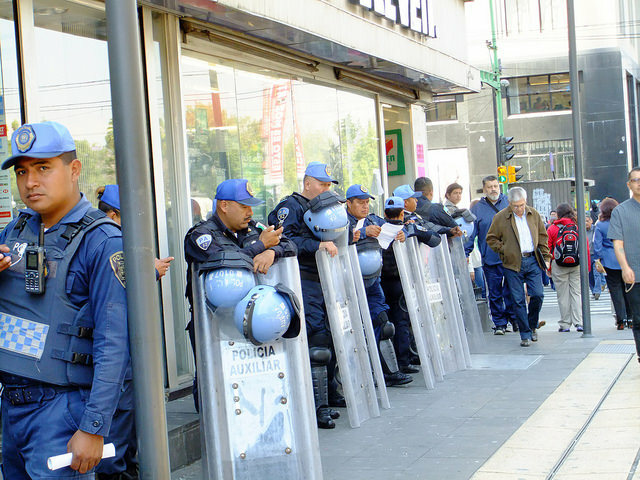 President López Obrador has pushed for changes that would remove the duties from the Secretariat of the Interior and instead create a Secretariat of Security and Citizen Protection. REGIONAL: Five Caribbean nations – Puerto Rico, Dominican Republic, Haiti, Honduras and Nicaragua – are amongst the ten countries most vulnerable to climate change. According to the Global Climate Risk Index of Germanwatch, the potential for damages to infrastructure in these nations increases as natural disasters become a bigger threat. DOMINICAN REPUBLIC: The Dominican Republic government stated it will not sign the U.N.’s Global Compact for Safe, Orderly and Regular Migration. Spokesman Flavio Espinal explained that the pact goes against their national sovereignty and would limit the decisions of the country in their border with Haiti. NICARAGUA: In a series of attacks against media in the country, journalist Miguel Mora, director of 100% Noticias, was sued for allegedly inciting murder, hate and terrorism. 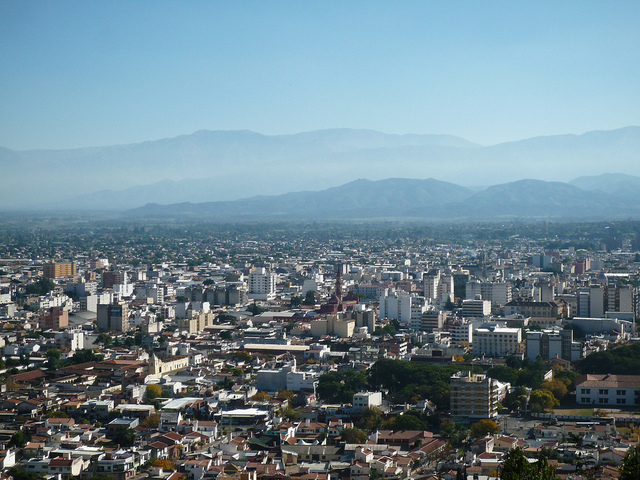 In a different incident, four employees of Radio Diario were detained while the radio-transmitting company was robbed and dismantled by members of the National Police. 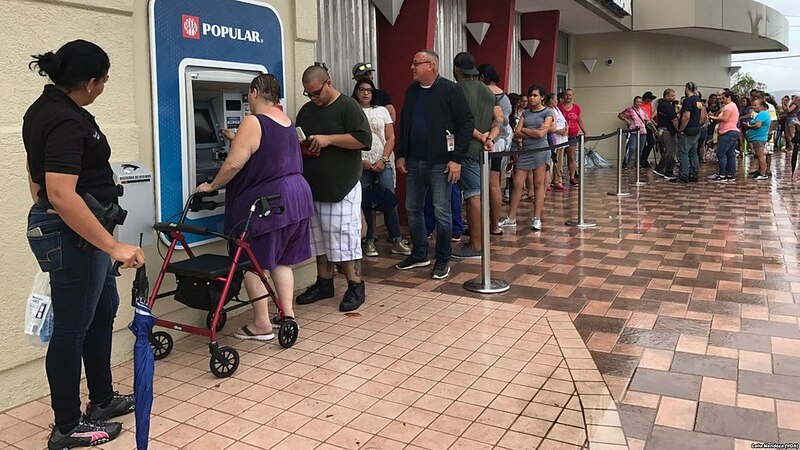 PANAMA: An immigration judge in the United States set a bail of $2 million for Ricardo and Luis Enrique Martinelli, sons of the former president Ricardo Martinelli. 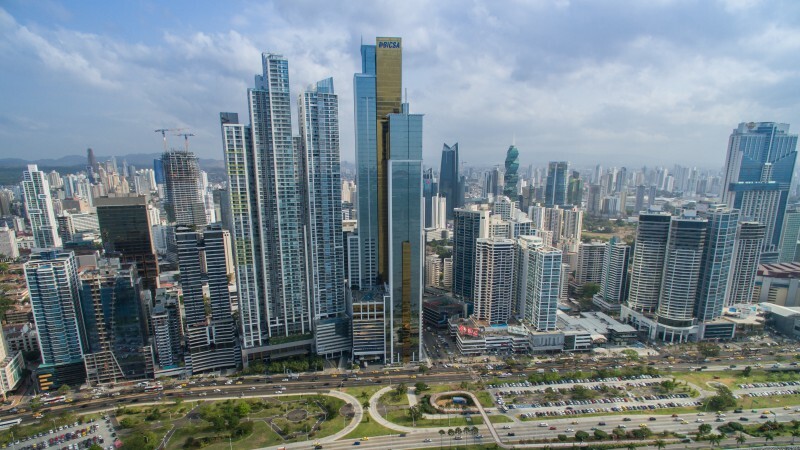 The brothers face charges in Panama for alleged corruption involving Odebrecht; the United States is examining the request for their extradition. ECUADOR: A report revealed that then president-elect Lenín Moreno met with Paul Manafort in May 2017 and discussed a possible deal to turn in WikiLeaks founder Julian Assange to the United States. Besides the conversation of a possible plan draft in which China could invest in Ecuador’s power system, discussion of Moreno and his aids getting rid of Assange became a leverage point for Ecuador to receive concessions like debt relief. Assange has resided in Ecuador’s embassy in London since 2012. BRAZIL: A Brazilian Supreme Court justice asked for more time to review a petition to release former President Luiz Inácio Lula da Silva, who has been in prison since April for corruption. The request means the case is suspended indefinitely. The announcement came after two of the five judges on the reviewing panel voted against da Silva. Previous petitions from da Silva to lower courts and the Supreme Federal Tribunal have been denied.